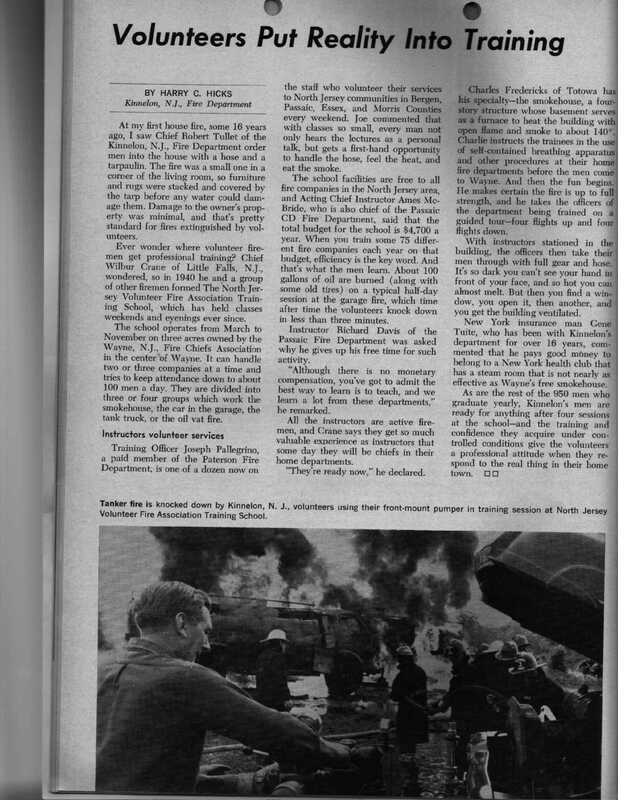 In 1968, KVFC veteran and Company 3 Captain Harry Hicks wrote a training story which was published in the December '68 edition of the nationally circulated Fire Engineering Magazine. It is reprinted below. The firefighter seen clearly in the left of the photo is Company 1's Elwood "Dutch" Kishbaugh, who would be Chief in 1984-1985. Dutch is operating the 500gpm Hale pump, front mounted on Engine 1, a 1960 H&H Ford.